Sudamérica Rugby has joined forces with ALICC, the regional cancer association, and during the Sudamericano Femenino de Sevens in Montevideo this weekend will work on actions to generate consciousness on early detection with the eight participating teams. The annual tournament will once again be played during the Valentín Martínez tournament, organised by Carrasco Polo Club and the Unión de Rugby del Uruguay that caters for more than 6,000 age-grade players during the weekend. Brazil will again arrive as the team to beat, having never lost a Sudamericano Femenino de Sevens since the first one was held back in 2004. Colombia are the only other nation to be crowned champions, having won in 2015 when the tournament doubled as the region's qualifier for the Rio 2016 Olympic Games when the already qualified Yarras did not participate. Brazilian rugby continues to lead the way in the region as they aim for a second Olympic Games, following their participation one home soil in Rio. They will find stiff opposition from an Argentina team that has been working hard for the past few years trying to narrow the gap to their more experienced neighbours, while Colombia are another team on the rise, with three young players Leidy Soto, Valentina Tapias and Laura Diosa, who recently performed at the Youth Olympic Games in Buenos Aires, included in the senior team. Peru, who will host next year’s Pan American Games in Lima, have enjoyed lots of preparation time, hosting camps with Argentina, Brazil and Paraguay, and will push for a strong tournament. 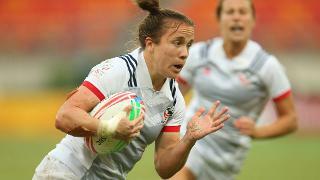 A place in the Pan Am Games is on offer for the winner as well as an invitation to play at the HSBC World Rugby Women's Sevens Series 2019 round in Langford, Canada, next May. The two finalists will also confirm their place in Hong Kong for the series qualifier next April, the winner of which will earn a core team place on the 2020 series. The action gets underway on Friday at 09:30 local time (GMT-3) with the Pool A match between Peru and Colombia, before Brazil meet Costa Rica. The opening matches in Pool B will see hosts Uruguay tackle Paraguay and Argentina meet Chile. The tournament will be streamed live here.